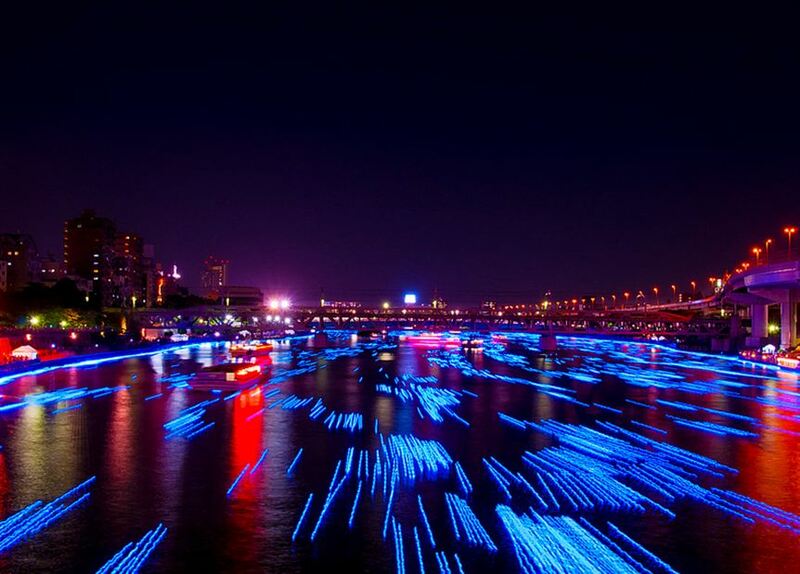 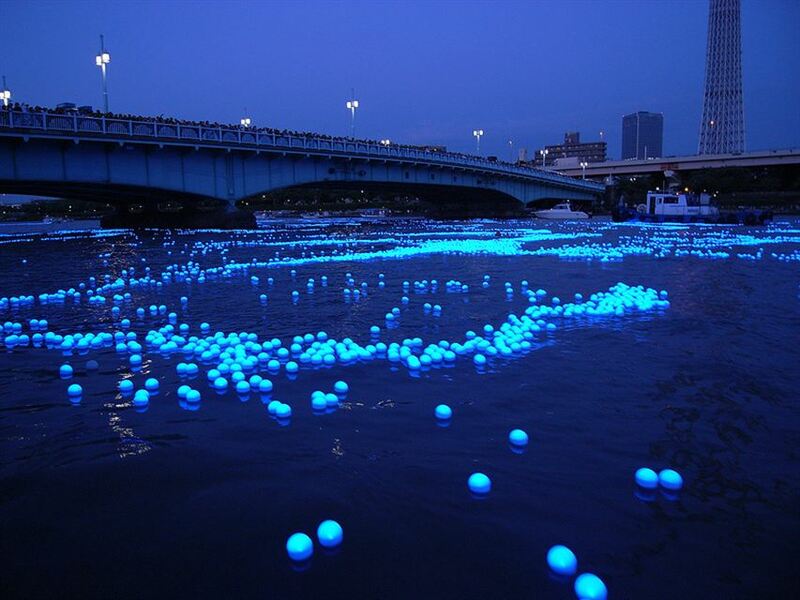 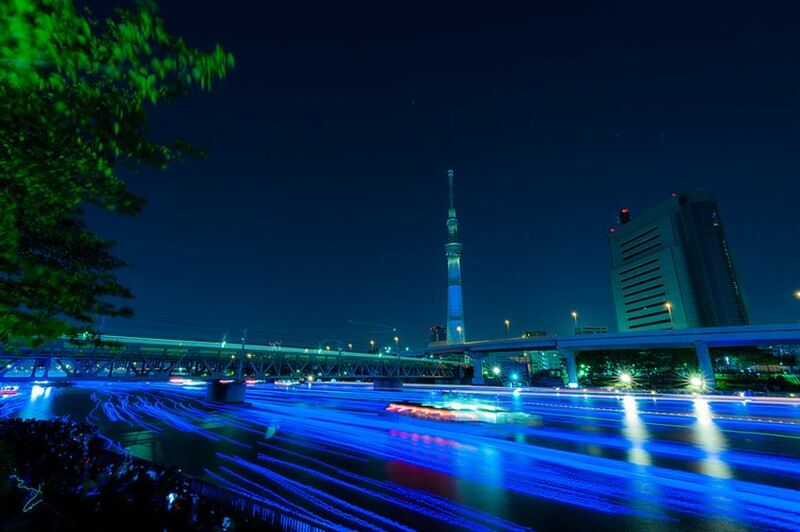 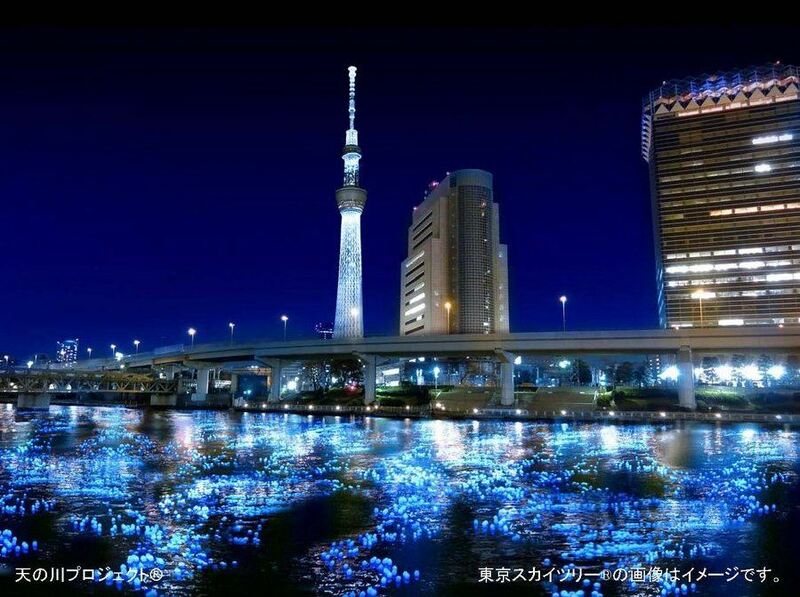 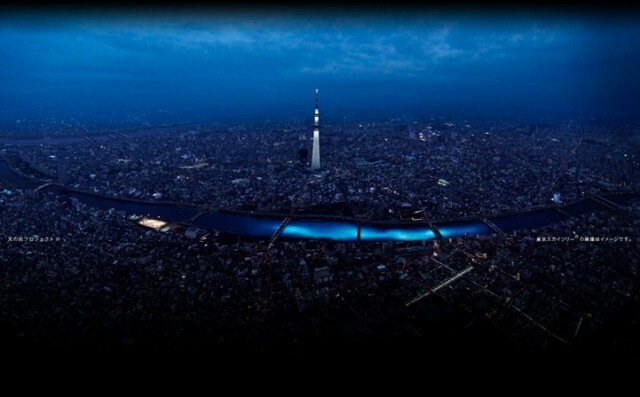 As part of the recent Tokyo Hotaru Festival, 100,000 illuminated blue LEDs were released in the Sumida River. 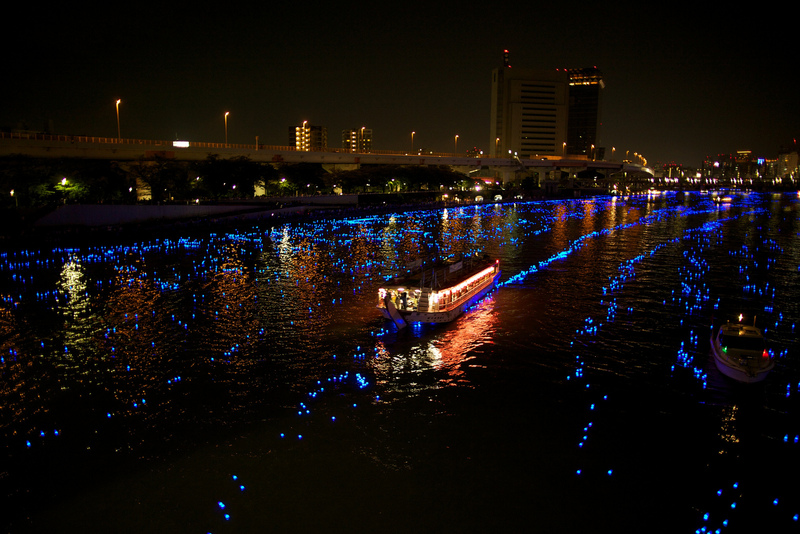 The impressive installation was made to resemble fireflies (hotaru) and looked like a blur on the river when viewed from a distance. 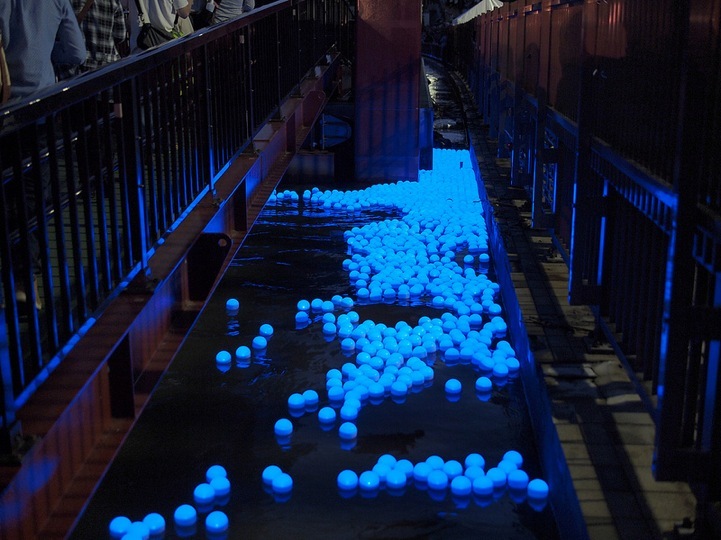 The spheres were 100% powered by solar energy and lighted up upon contact with water. 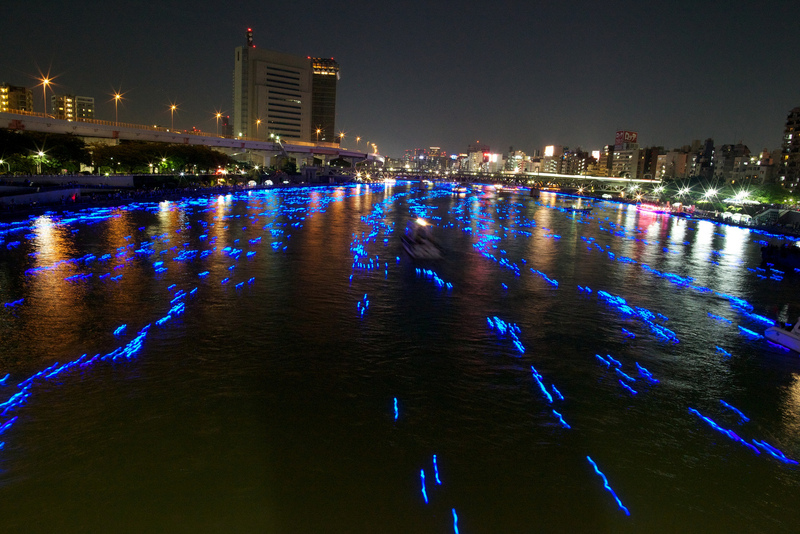 For those of you worried about pollution or safety, the lights were later caught downstream by giant nets.